2017 was an amazing year, full of incredible adventures, big challenges and lots of new and wonderful people! 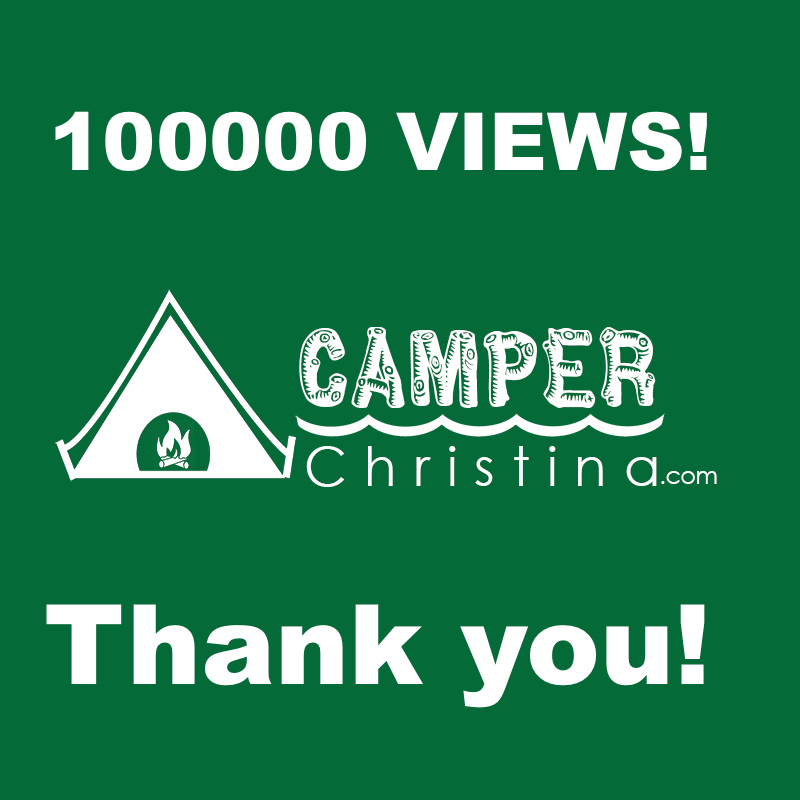 Just last week I was rewarded with 100000 views on my blog here at CamperChristina.com. 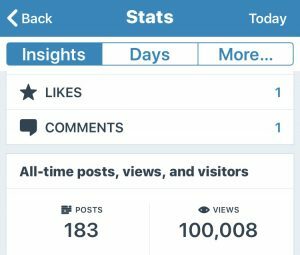 I am truly grateful for all the love and support I have received over the past two and a half years since my first post July 7, 2015. Thank you so very much! 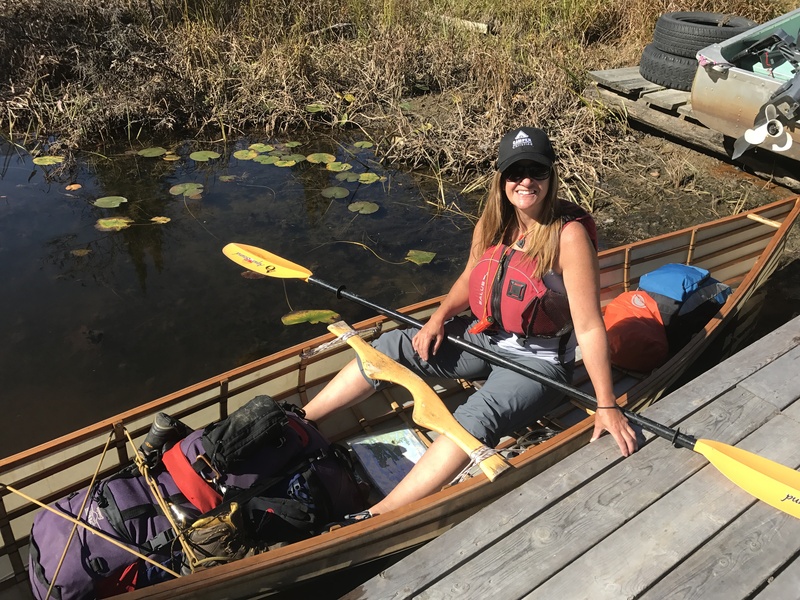 In 2017, I was able to complete several multi-day canoe trips that I would not have been able to do without the assistance of a loaned canoe from Backcountry Custom Canoes. Since receiving the canoe in June, I several multi day trips, my two favourite being a 5 day, 4 night trip in Algonquin through Kiosk Lake, covering 14 portages and paddling 33km’s. The second trip was in the northern part of Killarney where I paddled approximately 60km’s and also completed 14 portages. 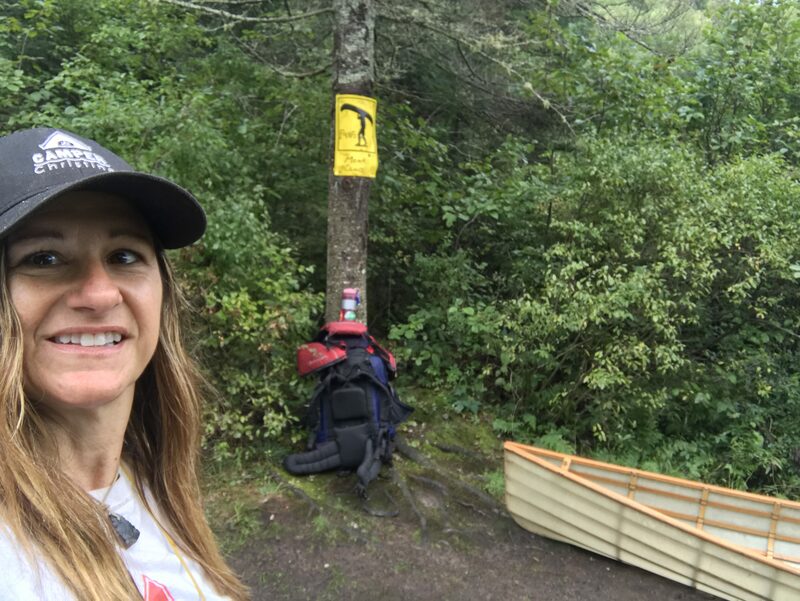 Up until a month before the first of the two trips, I had only portaged a canoe myself a few carries so both of these trips were a huge accomplishment to me personally, not to mention a lot of fun! I also did a 5 day solo kayaking trip through the French River area. What a beautiful and amazing trip that was! It ended with one of the highlights of my year, catching and cleaning a fish and having my own shore lunch! In October, I was blessed with some amazing weather and did a solo trip to the Massasauga Provincial Park. I got my fill that weekend of amazing sunrises and wildlife! I went out for a morning paddle and witnessed a beautiful buck swimming across Spider Lake. Returning to my campsite afterwards, within the same hour, I was lucky enough to see a wolf as well. Both firsts for me and I still can’t believe that I was so fortunate to see that! 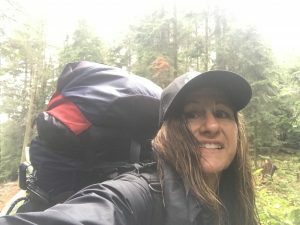 I tackled Georgian Bay solo near the end of the season, thanks to the confidence I received from Ontario Sea Kayak Centre and the completion of my basic kayak instructor certificate . On February 4th, I went on my very first cold camping trip in the Halliburton Water Trails to St. Nora Lake. It wasn’t too bad, but it was one of the main reasons I created my new backcountry hot tent. I created and completed my second diy winter hot tent, which allowed me to venture into the backcountry in the winter by pulk. I completed a short trip in Killarney in almost -44 degree temps just a few days before 2017 ended and it was one of my most challenging adventures. 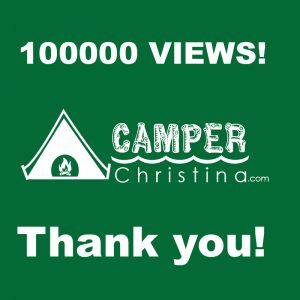 I began my YouTube channel, which just surpassed 75,000 views since loading it up with videos at the end of January 2017, and I spoke at my very first show, the KW Canoe Symposium in the spring alongside Jim Baird. That was awesome, just in itself! I went on some great trips with The Happy Camper, Kevin Callan. Three actually, a cool trip to Black Cat Lake, a Canada Day Trip in Noganosh on Smokey Lake and a kayaking trip on Herb Lake. YUP! A KAYAKING TRIP with Mr. Canoe, Kevin Callan! During the Canada Day trip I also finally learned how to clean my own fish, thanks to Kevin and was then able to use the skill on my French River Trip when I caught a pike in my kayak. (basically it fell in my lap as the fish ate the lure up, lol) That was such an awesome day! I did a fun day trip and also was interviewed by the cool kids at Paddling Adventures Radio , Derek Specht and Sean Rowley. You can hear the podcast by clicking the link above. 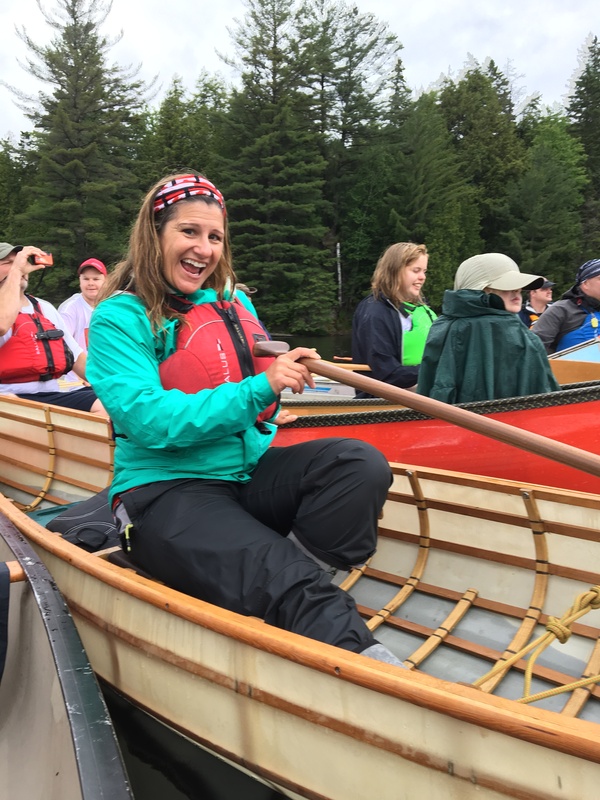 I was very honoured to take part in a great women’s event called Women on Water, that is run by Ontario Sea Kayak Centre and Wild Women Expeditions. I was actually auctioned off at the event and got to take an amazing girl named Michelle out on a kayaking trip which was so much fun! And I was lucky enough to be able to spend some time with the amazing Mike Ranta . I got to do an interview with him for my blog and created a cool video of our time together. He is a truly inspiring Canadian that I am grateful to call my friend. Who could ask for a better year? I’m so excited to look forward to 2018 and all the new adventures, amazing challenges, and fantastic people that will touch my life. Thank you to everyone who has touched my life this year. Thank you for all of your support, your kind words, and the amazing gift you’ve given me, allowing me to share my love of the outdoors with you here every single week and through my videos that I post every week on my YouTube channel. I am truly grateful for every like, word of encouragement, smile, and offer of friendship that I have received over this last year. What’s in store for me for 2018??? In February, I will be presenting at the Toronto Outdoor Adventure Show, (stay tuned to my page for my time/date being announced soon, atm it’s 10:30 Saturday morning but that could change), followed by the Quiet Water Symposium on March 3rd in Michigan. I have always loved attending the Outdoor Adventure Show and am very much looking forward to presenting there. Attending the Quiet Water Symposium will be a first, but I have heard great things about the event and can’t wait to check it out and hear some of the other presenters! I am also excited to announce my ambassadorship with Purinize, a product I was fortunate enough to test out on a bunch of my backcountry trips in 2017 and am proud to represent. I will only promote products that I have tested out myself and believe are great products. I’m hoping to get a few more winter trips in before the season is over and then it’s on to spring, summer and fall! I can’t wait for every season to get out there and camp, canoe, kayak, explore, enjoy the outdoors and share my adventures with you! 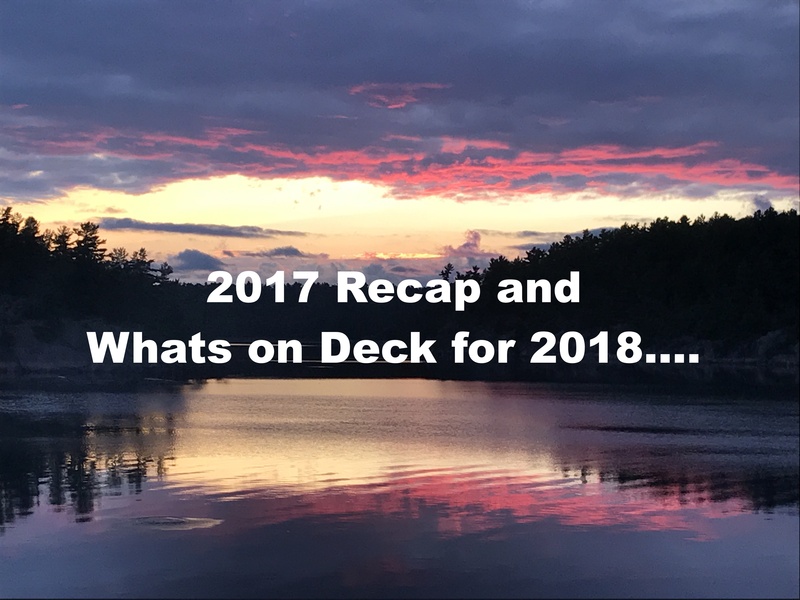 I hope you will join me as I fill 2018 with as many awesome outdoor experiences as possible and make it the best year ever! Wow, you owned 2017!! How satisfying for you to look back on all of that! Wishing you happy trails for 2018!!! Thanks Patti! It was so hard to choose the favourites. There were sooo many amazing experiences. I am excited about the video I made. I hope you check it out. 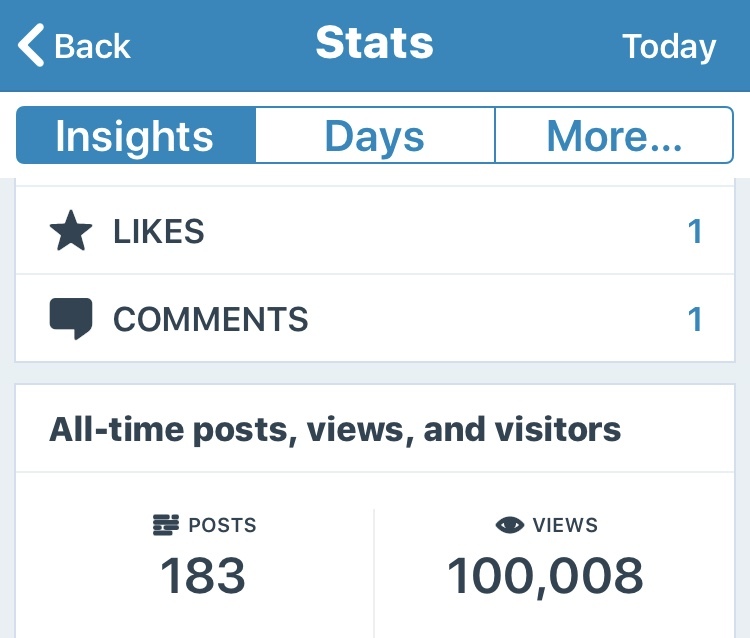 Thanks so much for commenting and reading the post! Happy 2018 to you as well! cheers! Awesome stuff Camper C!! Nice you are able to build on your experiences and just out there doing it. Hopes for a great year ahead. Thank you Brian! I appreciate you checking out my post and taking the time to comment. Hope you have a great 2018 as well! Outdoor Adventure show tickets are purchased!! Wow, you have come a long way Christina. 🌞Looking forward to more of your camp cooking videos on YouTube. Keep up the good work. Thank you so much Cathy! I have a new one going up next week. Sorry for the delay with those. With the concussion it’s been hard to keep up with everything so I had to slow down a few things. Hope you understand. Lots more cooking videos to come. I’ve got 2 done and content for more just haven’t been able to stay in the computer very long.